We are a dedicated team of caring people determined to share our knowledge and experience to initiate positive changes in the lives of individuals, families, and communities. We are passionate about the methods we teach to overcome challenges because we are living proof that they work. 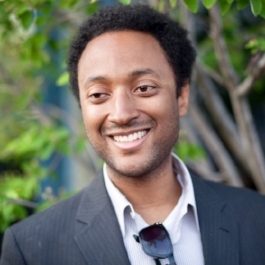 Arjuna Paris O’Neal is a motivational speaker and the founder of Share Necessities. Born and raised in Detroit, Michigan, Arjuna grew up in an environment of poverty, gangs, violence and drugs. Years of negative influences and thoughtless decisions led to a near-fatal shooting that changed his life forever. After being paralyzed and told he would never walk again, Arjuna was determined to improve his life and he began to research the benefits of mindful living through meditation, yoga, and education. Arjuna now holds a Master’s degree in Business Administration, a Bachelor’s degree in International Business, a yoga instructor certification, and a passion to help youth understand the importance of a mindful and healthy lifestyle. Jill Kershaw brings wide-ranging expertise to Share Necessities ensuring operational innovation and sound strategy development. As the COO she is responsible for the day to day leadership, general management, and vision of our organization. Prior to Share Necessities, Jill worked as a creative director and executive producer on global advertising campaigns. Jill’s experience as an ideator, team builder, and culture creator have propelled her beyond the world of brand storytelling and into her life’s calling; to make a difference in the lives of underserved youth. She is a lifelong meditation practitioner and Yoga Alliance certified instructor who has studied the philosophy and disciplines of yoga extensively throughout India. Uma Nicole, is a native Angeleno, Yoga and Mindfulness Instructor, and philanthropist: She is dedicated to improving society by creating opportunities that foster stronger cross-cultural and inter-generational connections. She is a certified yoga and mindfulness facilitator and master gardener involved with food insecurity issues in L.A. County. She teaches corporate wellness as well as yoga and mindfulness to vulnerable populations. Uma is pursuing her M.A. in Bioethics at Loyola Marymount University in Los Angeles, CA. Kate Allen, MPH, C-IAYT is the founder of Yoga Therapy Inc and co-founder of Be The Change. a studio and Center for Higher Education in Orange County, CA. The studio is deeply rooted in the philosophical foundations of yoga and understanding of yoga as a therapeutic modality. 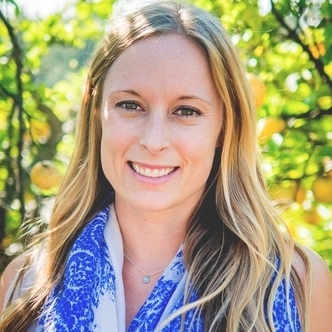 Kate is committed to bringing yoga to under-served communities and directs the Yoga Therapy Program at Hoag Hospital’s Center for Healthy Living. She is currently building out a Yoga Promotores Program to train Spanish-speaking students to become yoga teachers to spread healthy living practices throughout various community organizations. With a passion for yoga therapy and a background in Public Health, her organizations have built successful community-based relationships with hospitals, health systems and clinics to integrate yoga therapy services into their offerings. Raquel is a business and personal development consultant, youth mentor, author, and CEO of Eagle Business and Training Services. Raquel earned a Bachelor of Science in Psychology and has helped create and restructure businesses and nonprofit organizations nationwide. She has worked directly with youth for over fifteen years, developing programs for children and teenagers. Raquel is committed to helping others understand their purpose and integrating plans for them to achieve their highest potential. We are extremely grateful to the members of our Advisory Board for gifting us with their personal mentoring, professional expertise, diverse networks, and philanthropic support. Most importantly, for believing in our mission and sharing their immense hearts with us.